Many visitors from fanevents who played the Sims 3, complained that there were few objects in the game. 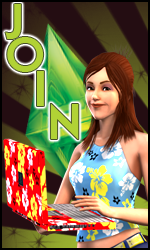 Now we know why; EA wants to sell them seperately in the Sims 3 store. But seriously, Simmersnews managed to find some details from that store and found the objects and their price. What the hell?!? The Sims games are expensive enough and now they want to charge us for "extra" items. Urgh... I'm cringing with disgust. I wouldn't say so. EA has always supportted custom content as it saved them time, so no, I wouldn't believe it. Luckily there was a "special" offer when you pre-ordered from a swedish site... you get 63 sim points for free. 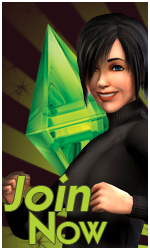 I'm not going to spend any of my money on the Sims 3 store. "To use The Sims 3 Store you need to first product register your game on the site. Once you product register, you can obtain your 1000 SimPoints granted to you with the purchase of your game during the registration process, or at a later time by visiting your "My Account" areas on the Store and Community sites." 1000poinst for everyone?! That is good news for a change. You can actually get one or two sets with that amount for free. Im not that impressed with the stuff there...i think im goint to use my points if there´s goin to be batterns of things like that...or maybe in differend kind of hairstyles. I wasn't entirely impressed but I have a few things I have my eyes set on. Their action of 1000 points when register your game is good. But ghah.. the prices for the objects, it's to much. Amaranth wrote: Their action of 1000 points when register your game is good. We are just being ripped off by EA. I mean, HELLO? We are currently in a recession you know! Im going to complain about overprizing at the EA-forums once i get the game ...it´s not going to help but it makes me feel better. I have the money to buy the stuff but im not going to out of principal, it´s just so much overprized and i already spent hundreds of euros in sims2 stuffbacks and expansions and im tired of this. Im just going to use my free points maybe buy some unigue hair if theres not going to be community hairs avalable. But hundreds of euros of my money...not going to happen anymore, im taking my money elswhere.